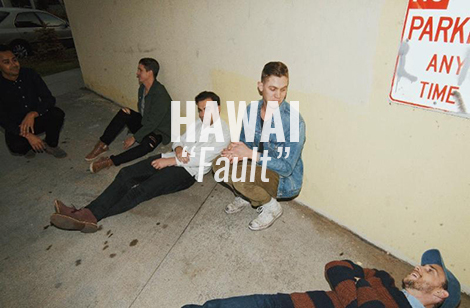 It’s nice to hear back from Southern California band HAWAI since posting their earworm “In My Head” back in February. Today, take a look at this video featuring the song “Fault”, set to artist Matt Maust creating the cover art to the bands’ upcoming EP. Working All Night was produced by Lars Stalfors (Cold War Kids, Deap Vally) and will be released on June 17 via Antler Records. Beginning May 18, the band will play a handful of dates across Southern California, including a newly announced EP release show at Dirty Laundry in Los Angeles on June 16. Take a listen to “Fault”.